SongHa Choi was born in Bielefeld, Germany in 2000. After having studied at the Korea National Institute for the Gifted in Arts and pre-college course of Korea National University of Arts in Seoul, she is currently studying at the Yehudi Menuhin School, with Lutsia Ibragimova. She has won a number of national and international competitions and has given several solo recitals in Korea, Turkey and England. 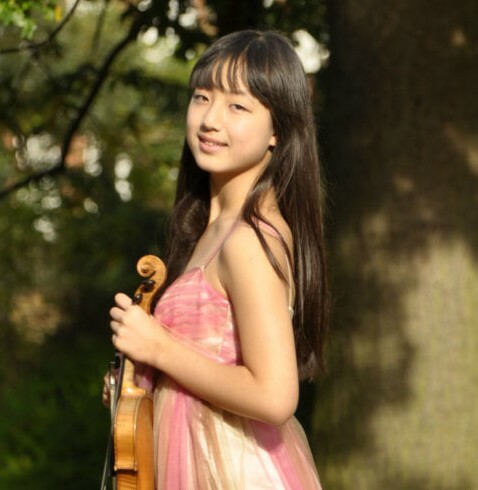 She has also performed as a soloist with Yongin Philharmonic Orchestra, Thames Philiharmonia Orchestra and Sinfonia of Cambridge, and has collaborated with James O’Donnell. SongHa also enjoys playing chamber music and orchestral works, along with her solo playing and piano studies.